Might as well make the annual thread where we laugh at EA's incompetence. As a note, Delanie Walker is the highest rated player on the team with a 93. Taylor Lewan is the eighth highest rated player at an 85, which also places him eighth in the league among LTs. Byard and Casey are tied for second at 89. Butler and Lewis in fourth at 87. Followed by Orakpo and Henry at 86. Cyprien is an 82, Conklin is an 81. Kern is a 79. Mariota is a 79. Derrick Morgan is somehow a 76. Jayon Brown is a 68. Below the likes of Kevin Dodd and Phillip Supernaw. I don’t get all up in arms over ratings because they do update them each week during the regular season. However I seen Kam Chancellor is rated higher than Byard. I think it’s only by one but the guy is going to retire due to injuries so how is he rated above guys that are playing? I know people want to freak out about Mariota. I don’t know Howard they rate people for these games but Bortles shouldn’t be above him. Andrew Luck missed a whole year but some how he’s rated higher than a lot of guys. Jayon as the 44th best player on the roster is pretty hilarious. I didn’t even click on the link before posting my first post. Maybe I should overreact to some of these ratings holy cow ? 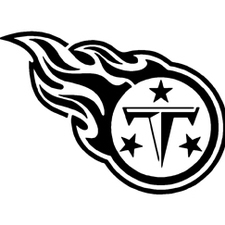 Read that despite all this the Titans are supposedly one of the higher rated teams in Madden. No idea how true that is though. I’ve been one of Byard’s biggest supporters since he was drafted and an 89 feels right to me. Some of the safeties rated above him is the joke though. Lol at Mathieu and Chancellor rated higher. I feel the same way with Mariota. I just laugh at some of the players ranked above him like Winston, Taylor, Bortles, Mayfield, etc. He gets off to a hot start, he should see a dramatic increase regardless but I don’t think we’ll ever see 4000+ yards in a season from Marcus. Not in this offense which I’m completely fine with. I don’t think Dion Lewis is too high the guy does it all he blocks he can run he can catch he can return. Fans got Mariotas ratings changed ?